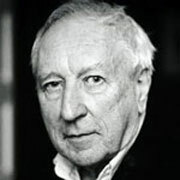 Tomas Tranströmer (born 15 April 1931 in Stockholm) is a Swedish writer, poet and translator, who has sold thousands of volumes in his native country, and whose poetry has been translated into over sixty languages. He has published ten volumes of poetry in Swedish, from 17 dikter (17 Poems; 1954) to For levande och doda (1989; Eng. "For Living and Dead"). Read Kaplinski's nominating statement and Tranströmer's 1990 acceptance speech [PDF temporarily available for free here] from World Literature Today 64, no. 4 (Autumn 1990), 552-553. Available via JSTOR at http://www.jstor.org/stable/40146861.